The main difference between Personnel Management and Human Resource Management lies in their scope and orientation. While the scope of personnel management is limited and has an inverted approach, wherein workers are viewed as tool. Here the behavior of the worker can be manipulated as per the core competencies of the organization and are replaced when they are worn-out. On the other hand, human resource management has a wider scope and considers employees as the asset to the organization. It promotes mutuality in terms of goals, responsibility, reward etc. that will help in enhancing the economic performance and high level of human resource development. In early centuries, when Human Resource Management (HRM) was not prevalent, then the staffing and payroll of the employees were taken care of, by the Personnel Management (PM). It is popularly known as Traditional Personnel Management. Human Resource Management have emerged as an extension over the Traditional Personnel Management. 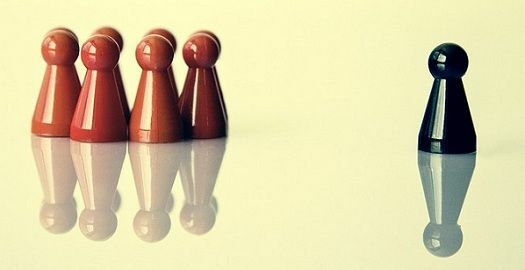 So, in this article, we are going to throw light on the meaning and differences between Personnel Management and Human Resource Management. Meaning The aspect of management that is concerned with the work force and their relationship with the entity is known as Personnel Management. The branch of management that focuses on the most effective use of the manpower of an entity, to achieve the organizational goals is known as Human Resource Management. Focus Primarily on mundane activities like employee hiring, remunerating, training, and harmony. Treat manpower of the organization as valued assets, to be valued, used and preserved. Operative Functions: The activities that are concerned with procurement, development, compensation, job evaluation, employee welfare, utilization, maintenance and collective bargaining. Managerial Function: Planning, Organizing, Directing, Motivation, Control, and Coordination are the basic managerial activities performed by Personnel Management. From the last two decades, as the development of technology has taken place and the humans are replaced by machines. Similarly, this branch of management has also been superseded by Human Resource Management. Human Resource Management is that specialized and organized branch of management which is concerned with the acquisition, maintenance, development, utilization and coordination of people at work, in such a manner that they will give their best to the enterprise. It refers to a systematic function of planning for the human resource needs and demands, selection, training, compensation, and performance appraisal, to meet those requirements. In Personnel Management there is a piecemeal distribution of initiatives. However, integrated distribution of initiatives is there in Human Resource Management. In Personnel Management, the basis of job design is the division of work while, in the case of Human Resource Management, employees are divided into groups or teams for performing any task. In PM, the negotiations are based on collective bargaining with the union leader. Conversely, in HRM, there is no need for collective bargaining as individual contracts exist with each employee. In PM, the pay is based on job evaluation. Unlike HRM, where the basis of pay is performance evaluation. Personnel management primarily focuses on ordinary activities, such as employee hiring, remunerating, training, and harmony. On the contrary, human resource management focuses on treating employees as valued assets, which are to be valued, used and preserved. Human Resource Management has come up with an extension over Personnel Management, which eradicated the shortcomings of the Personnel Management. It is quite essential in this era of intense competition where every organization have to put their manpower and their needs first. Nowadays, it is very challenging to retain and maintain good employees for a long time as they are fully aware of their rights and any organization cannot treat them like machines. So, HRM has been evolved to unite the organization with their employees for the attainment of a common goal. It was very helpful for my assignment! This portal is very helpful both in my professional and academic purposes. Just in time and it satisfied my Want..
I’m an HRM level 4 student and very Happy to come across this site. Very useful. 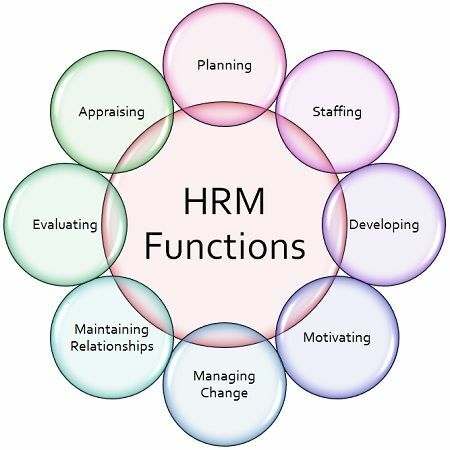 It has helped me to understand the difference between HRM and PM. Thank you Mam. It is not possible for some of us who are aged now and approaching retirement from government employment to go to school for further training. But through this portal I Am able to raise up my Knowledge and understanding as far as this fields is concerned. Thank you. Great write up. Very helpful in my course. Thanks for such educative information on HRM and PM. Thanks for helping me know the distinction between the two… It is very useful and educative… Thank you…. I have been able to do my assignment without any misunderstanding.. thank you for this article. thank you for the well illustrated differences helped for my assignment.